Endometriosis is not only a painful gynecological condition; it is also detrimental to fertility. It affects fertility in three ways. The chronic inflammation from misplaced hormonal sensitive endometrial tissues in the abdominal cavity creates a congested and toxic uterine environment and make it difficult for the embryo to implant in the endometrium properly. 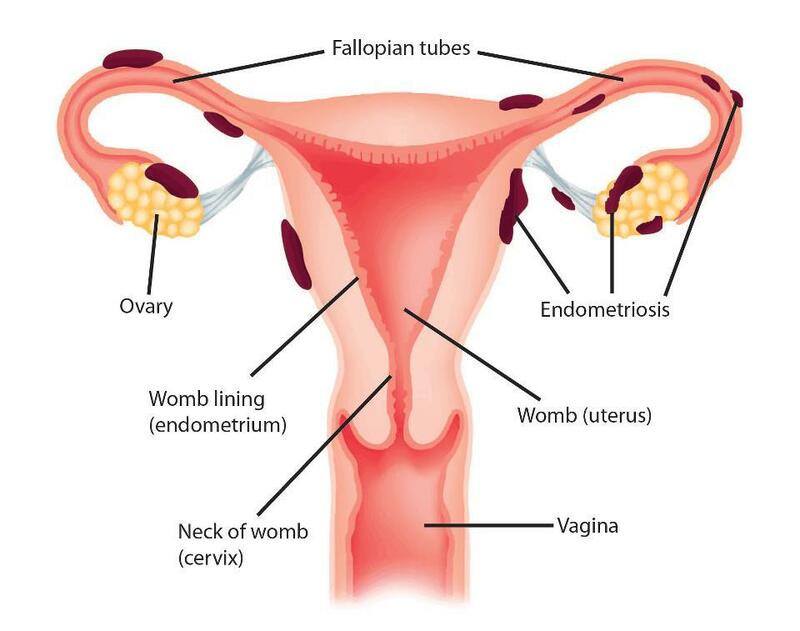 In the case of endometrioma or chocolate cyst, when the endometrium cells attach to the ovaries, the normal development of the egg and ovulation is impaired. In other cases, the scar tissues formed as the result of the stagnant blood can cause the fallopian tubes to be blocked. Even worse, some researchers also suggest endometriosis has an autoimmune component. The antibodies formed against the misplaced endometrial tissue may attack the uterine lining and cause miscarriages, up to three times the normal rate. The conventional hormonal suppression treatment of endometriosis can be frustrating, and symptoms often recur even after the surgery. The good news is with natural medicine, endometriosis can be treated, and you can get pregnant! Although the known cause of endometriosis is hormonal imbalance, specifically estrogen dominance and progesterone deficiency, needs to be corrected, we also address the important aspect of the overactive immune system in a gentle way that is supportive to fertility.